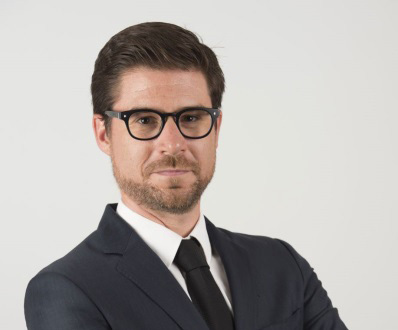 Guillaume Charron is ID’s director in Geneva since October 2016. A former humanitarian worker, Guillaume has spent the last 6 years working in Geneva on the causes and effects of forced displacement for the Norwegian Refugee Council (NRC). In this capacity, he advised humanitarian actors and states responding to the situation in Iraq, Syria and Palestine. He oversaw several NRC’s submissions to the Human Rights Council and treaty bodies. Guillaume has also been teaching Master’s students at Sciences-Po on forced migration and Middle Eastern Studies, publishing several papers and participating in a number of conferences. Before that, Guillaume had spent over 7 years in the field working for the International Committee of the Red Cross (ICRC) and the UN Commissioner for Refugees (UNHCR). During his time at ICRC, he has had first-hand experience in recent armed conflicts, heading the protection team in Baghdad from 2009 to 2010, heading the office networking with the Janjaweed in Darfur in 2008 and 2009, and working on detention in Palestine and the occupied Syrian Golan Heights before that. With UNHCR Guillaume adjudicated over 4,000 refugee cases in Egypt, Thailand and Cambodia. His cross-cultural skills have helped him earn the trust across front-lines and across a diversity of actors from refugees to military personnel.